BSc (Hons.) MRes (Dist.) AFHEA, PhD. In 2016, I took up a postdoctoral research fellowship at St Anne's College, Oxford to join the Diseases of Modern Life project. My new research project, heavily influenced by the burgeoning field of microbiome studies, is concerned with changing understandings of gastrointestinal health throughout the nineteenth century. I am particularly interested in the interdisciplinary construction of digestive health and its relationships with somatic, immune, and psychiatric wellbeing. How might analysing these constructions at a time when our concepts of identity were being forged in relation to developing modernity, modify our perspectives on what it means to be healthy in the twenty-first century? From May - October 2016 I was an Early Career Fellow with the Institute of Advanced Study. Before this I completed my PhD with the English and Comparative Literary Studies department funded by the Wolfson Foundation. I joined the university in 2012, after having completed a BSc (Biology and English, First Class Honours) and a Masters by Research (Distinction) at Keele University. My masters thesis entitled: 'A Parasite By Any Other Name: Depictions of Parasitism in Nineteenth Century Medicine, Literature and Culture' explored the figure of the parasite as a cultural symbol informed by both biology and historical religious practices. My doctoral project entitled: 'Miasmas, Mosquitoes and Microscopes: Parasitology and the British Literary Imagination, 1885-1935' analyses significant exchanges between parasitology and British literary culture in the late-nineteenth and early-twentieth centuries. I am particularly interested in the impact of parasitic disease on cultural understandings of British imperialism and the pressures (both medical and social) that led to the establishment of parasitology as a branch of tropical medicine. 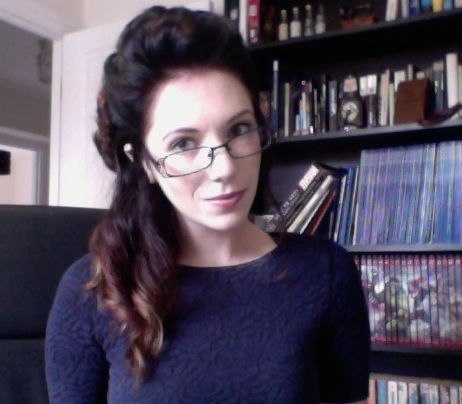 Other research interests include: Victorian Studies, Romantic and Gothic Fiction, Fin de Siecle Literature and Culture, Popular Science Writing, Infectious Disease Narratives, and Darwinism. I am part of the department of English and Comparative Literary Studies and work in collaboration with the Centre for the History of Medicine. My research includes a broad range of sources from scientists' and doctors' research diaries, personal narratives and colonial office correspondance, to travel writing, news reports and popular fiction. Exploring the cultural framing of disease in conjuction with notions of colonial geographies, I attempt to elucidate the public understanding of British Imperialism at the turn of the twentieth century. I am particularly interested in the figure of the native as a source of social and somatic anxiety and ways of thinking about the 'tropical' colonial environment as one of parasites and vectors. Prominent figures in my research include Ronald Ross, Patrick Manson, and Mary Kingsley. Taylor-Brown, Emilie, ‘Exploring Victorian Travel Literature: Disease, Race and Climate, by Jessica Howell, Edinburgh Critical Studies in Victorian Culture’ Studies in Travel Writing (2016) DOI: 10.1080/13645145.2016.1212506. Taylor-Brown, Emilie, ‘(Re)Constructing the Knights of Science: Parasitologists and their Literary Imaginations’ Journal of Literature and Science 14(2014)2 pp.62-79. Taylor-Brown, E. and Hurd, H. ‘The First Suicides: a Legacy Inherited by Parasitic Protozoans from Prokaryote Ancestors’ Parasites and Vectors 6(2013)108 pp.1-14. Taylor-Brown, Emilie, 'Student Byron Conference: 'Byron Now' Edge Hill University. 23 May 2012' The Byron Journal 40(2012)2 pp.171-74. Roundtable: ‘Replicas and Replication in the Victorian Age’ Victorian’s Institute Conference, North Carolina State University, Raleigh, NC. 14-16 October 2016. 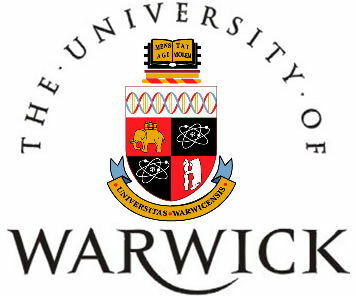 Respondent for Prof. Pamela Gilbert, Interdisciplinary Workshop on Emotions for Institute of Advanced Teaching and Learning, University of Warwick 16 May 2016. 'Poets, Prophets, Pioneers: The Emergent Taxonomy of the Celebrity-Scientist in Late-Nineteenth Century Britain' Research Seminar Series. Keele University 5 Nov 2014. 'From Comic Sycophant to Gothic Monster: Reflections on the Literary Parasite' Arts & Humanities Discussion Group. St Anne's College, University of Oxford 21 Nov 2013. 'Petty Larceny' and 'Manufactured Science': Nineteenth-Century Parasitology and the Politics of Replication' Victorians Institute (North Carolina State University, US) 14-15th October 2016. 'Poets, Prophets, Pioneers: The Emergent Taxonomy of the Celebrity-Scientist at the Fin de Siecle' North American Victorian Studies Association (London, Ontario, Canada) 13-15th November 2014. 'Pursuing the Plasmodium: the Significance of Empirical Evidence to Nineteenth Century Understandings of Parasitic Disease' North American Victorian Studies Association (Pasadena, California) 23-27th October 2013. 'Gregarious Gregarines and Vampiric Vectors: A Discussion of the Parasite as a Source of Numeric Anxiety' British Association for Victorian Studies (Royal Holloway, University of London) 29-30th Aug 2013. 'Dreden China and Fighting Machines: An Interrogation of the Parasitic Relationship and its Relevance to Victorian Social Biology in the Writings of H. G. Wells' Battle of the Books: Literature versus Science (Bristol University) 23rd April 2013. '"Wriggling and Jiggling Inside Her": Anxieties of Trangression in the Host-Parasite Dichotomy' Body Horror: Contagion, Mutation, Transformation (Sydney, Australia) 11-13 Feb 2013. 'Death, Disease and Discontent: The Monstrous Reign of the Supervirus' 10th Global Conference for Monsters and the Monstrous - Myths and Metaphors of Enduring Evil (Mansfield College, Oxford) 10-12 Sept 2012. 'A Parasite by Any Other Name: Depictions of Parasitism in Contemporary Popular Culture' Humanities Postgraduate Research Symposium (Keele University) 24th May 2012. 'Byron and Chaos Theory: A Romantic Paradox' Student Byron Conference (Edgehill University) 25th May 2011. British Academy Early Career Workshop (University of Reading) 14th March 2014. The British Society for Literature & Science: Eight Annual Conference (Cardiff University) 11-13 April 2013. Victorian Things Revisited: MIVSS Meeting (Keele University) 29th June 2012. Borders in the Long 19th Century: MIVSS/MRS Meeting (Loughborough University) 12th January 2012. Two Cultures or Coevolution? Literature and Science 1800-Present (Keele University) 12th May 2012.